Autistic children are known to have increased rates of epilepsy, but many prior studies attempting to quantify these rates are small. VANCOUVER, British Columbia — Researchers presenting at the 68th annual meeting of the American Academy of Neurology (AAN) have conducted a study to quantify the percentage of children with autism who have seizures of different types. To examine the percentages of autistic children with epilepsy, the researchers conducted a retrospective matched case cohort study with 48 762 pediatric patients aged 0 to 18 years from the Military Health System database between 2000 and 2013. Children with autism were matched in a ratio of 1:5 by birth date, gender, and enrollment time to 243 810 children without autism. The International Classification of Diseases, Ninth Revision, and Clinical Modification (ICD-9-CM) diagnostic codes were used to identify patients, and conditional logistic regression was used to calculate the odds of varied seizure types. The researchers found that for children with autism, the odds ratio (OR) of having some type of seizure or seizure disorder was 6.03 (95% confidence interval [CI], 5.84-6.22); this represented 19% of the patients with autism. In a subgroup analysis of patients with status epilepticus, the OR was 8.00 (95% CI, 7.11-8.99). The OR of autistic children having absence seizures was 9.54 (95% CI, 8.76-10.38); for partial epilepsy, the OR was 8.35 (95% CI, 8.35-9.49) and for infantile spasms it was 7.30 (95% CI, 5.74-9.28). The OR of febrile seizures was significant, but it was much less than the other types of seizures at 2.19 (95% CI, 2.05-2.33). 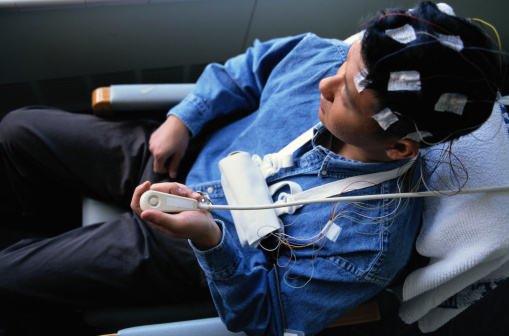 “This study helps to quantify the percentage of autistic patients with seizures and different seizure types. Rates of epilepsy in children with autism are vastly increased in a wide variety of seizure types, [which are] known to have different etiologies, genetic and otherwise,” the authors concluded. Funding was provided by the Congressionally Directed Medical Research Programs Autism Research Program W81XWH-12-2-0066. Jaskiewicz J, Susi A, Hisle-Gorman E, Dennison D, Gorman G, Nylund C, Erdie-Lalena C. Quantification of risks of seizure in autism. Presented at: The 68th Annual Meeting of the American Academy of Neurology. April 15-21, 2016; Vancouver, British Columbia, Canada. Presentation S32.003.